Actor Salman Khan has shared a very special post on Twitter to celebrate International Women’s Day. He shared a precious picture of his mother Salma Khan and stepmother Helen. In the picture, Salman is seen getting hugs from the two very special ladies in his life. “#HappyWomensDay,” he captioned the post with a heart emoji. Salman’s fans also loved the picture. “Awwwwwe thats so sweet,” wrote a fan. “Maa to maa haoti hai, koi uska jagah nahi le sakta. Aapke to do maa hai MR. LUCKY (Mothers are irreplaceable and you have two of them,” wrote another. 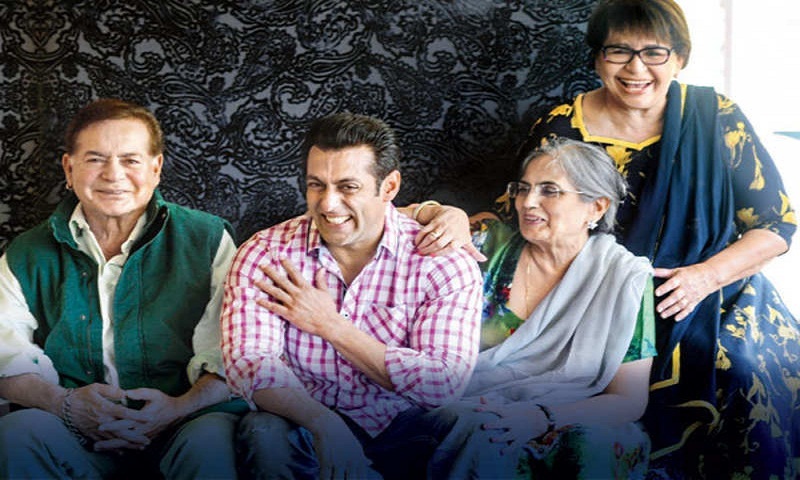 Salman’s father Salim Khan married actor Helen in 1981. Salman shares a very friendly relationship with her and the two are spotted at various family events together. Other stars who celebrates Women’s Day include Priyanka Chopra who shared her favourite quotes by a few of the most inspiring women in the world. Actor Ayushmann Khurrana shared a special poem for his fans, ‘Ek ladki aisi jo bachpan mein badi hogai’. Akshay Kumar spent his day in Lucknow, joining a group of biker women as they drove around town on their bikes, report Hindustan Times.